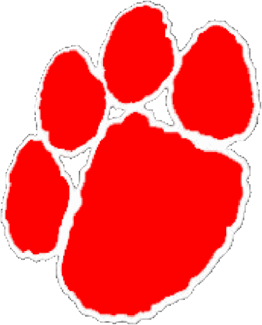 The Grand Blanc Bobcats Varsity Hockey team headed Northeast to Sandusky, Michigan on Thursday to face the ETA Legion squad at the Colleen Howe Ice Arena in Sandusky. The Bobcats dominated play for the entire game while securing a 3-1 win to move the Bobcats record to 6-7 on the season, a move one win shy of last years’ total and the team’s goal of a 0.500 record this season. The Bobcats opened the scoring in the first with a goal from Kevin LaHaie who was assisted by Michael Heiberger and Rylee Edmonds. But the Ubly Legion responded back with a goal just 90 seconds later to knot the score at 1-1 at the intermission. The Bobcats had the only goal in the second period when Team Leader Owen Walker netted a goal from Hunter Bankstahl and Hayden Seguin to make it 2-1 after 2 periods. In the third…it was again the Ubly goalie who was the game’s MVP as he continued to stone the Bobcats, who put 52 shots on net but were unable to ice the game until the 12:21 mark when Hayden Seguin buried a Power Play goal on a cross ice feed from Walker. Bankstahl also got an assist on the final goal. Luc Roberts in net for the Bobcats earned the win stopping 13 of the 14 shots he faced. The Bobcats next face Swartz Creek / Flushing / Clio on Saturday in their attempt to push the record to 0.500.